COLUMBIA SPY: Why Is Penn State Celebrating Joe Paterno? Lauren Davis, a junior from Lancaster, Pa., received hundreds of emails and online reader comments — most of them negative, after penning an editorial for the student newspaper. "This is our Penn State. It is a Penn State without Joe Paterno," she wrote, adding, "Those of us here now are beyond ready to move on." As an avid Penn State fan and former season pass Holder( gave up due to health) Paterno should be honored. Not if any coach in college sports gave as much money to a university as the Paterno's.It is a shame he passed away before he could tell his side of story. Granted, what Sandusky was wrong,there are loopholes in the report commissioned by the PSU administration. The students at PSU ought to be thankful the gifts that Joe and Sue Paterno gave. 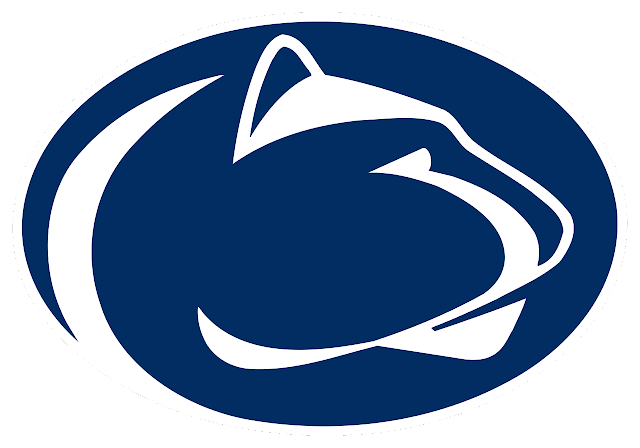 Just remember students, the next time you do research in the library, the Paterno's gave and raised 3 million.dollars and if you attend worship on campus,donation the family gave for the chapel.Go Penn State.Love you Lions. He got paid very well for the game! He lived like a king!! If you saw where and how he lived, it was far than a king's life style. He and his wife gave alot back to PSU. You are right about say the size of his home! But, he had a private jet to go anywhere he wanted and the money given back he got twice in return! The jet is owned by the university. Other officials use the jet, also used by other coaches on recruiting. In fact, it flew coach Franklin here from Vanderbilt. Joe probably did get money back for taxes, but his gifts benefitted many students. Hey coach, so and so just touched me in my private areas! look kid i have a football team to run! Go away!!!! We will never know his responses since he is dead. Penn State needs to get rid of Franklin & get a coach that can compete with Mayer & Harbaugh. Otherwise all we'll have is this tainted Penn State football history to talk about. Why do all these people who claimed to be abused come forward now, many years after it happened. Same goes for the Catholic priests. I am not in favor of the actions of the abusers, but why wait so long to report? Good example would be Joe Paterno!! The didnt listen to the cry of HELP!!!! !